Varied art forms and cultural expressions and ramifications distinctly showcase Manipur to the world. Love of art and beauty is inherent in the Manipuri people. It is difficult to find a Manipuri girl who cannot sing or dance. Manipuris are artistic and creativity by nature. 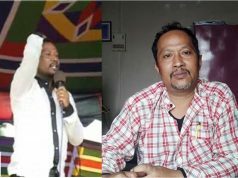 The state is inhabited by varied ethnic group having their own distinct culture and tradition deeply embedded in its dances, music, customary practices and pastimes. Among the varied rich art forms, the state is a land of great theatre movement. In line with the global trend, our great forefathers also built up a strong theatre movement in the state by producing many talented theatre artistes like Gurumayum Surjamukhi, among others. 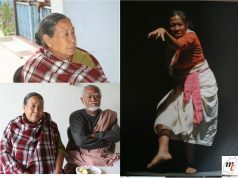 72 years old Gurumayum Surjamukhi is one of the renown woman theatre activists who have contributed and dedicated her arts and have commitment to sacrifice her life for the development and popularization of Manipuri theatre. Born to late Bachastimayum Govardhan and Bachastimayum Ongbi Tombimacha as the youngest daughter among six daughters, Surjamukhi inherited the artistic talent from her late grandfather, a Nat Sankritana artiste by profession, who used to enfluenece and help his grand-daughter to be an artiste. At her early age, she acted in dramas under the guidance of the then noted Gurus who happened to be close friends of her grandfather. As she parted with her father at her tender age, Surjamukhi called her grandfather as “Pabung” (father). With exception to Surjamukhi, none of her sisters did not opt for the career of art. Surjamukhi was not born with a silver spoon in her mouth. She was brought up in a poverty ridden family background run by a widow vegetable vendor at Khwairamband market. She got married to Gurumayum Robindro Sharma, a theatre activist by profession who worked as an employee of Information department. She has three sons and one daughter. The family legacy in art passed on to her sons. 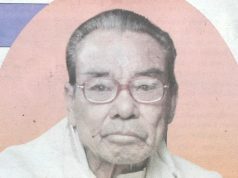 She is the mother of noted Manipuri film actor Gurumayum Bony. Eldest son Gagan was also a theatre artiste. 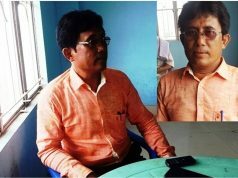 The veteran artiste passed matriculation from Ananda Singh higher secondary school and IA from Manipur College. Surjamukhi who kickstarted her art career at her nine years, made her debut in a stage drama called Sakuntala. She acted the role of Sakuntala and Bhorot, son of King Dushanta in the Sakuntala drama of MDU directed by oja Ibomcha for the first time. Recalling the days how she began her acting career in dramas for the first time, Surjamukhi said once the audience burst out a loud laughter when she acting the character of Bhorot wrongly uttered a piece of dilalogue in ‘Shakuntala’ drama. He play runs like this – King Dushanta and Shakuntala got separated due to a sin of Siege Durbasha. Shakuntala spent her life in jungle and gave birth to a son called Bhorot. When King Dushanta came for hunting in the jungle, he met young Bhorot, the son of Shakuntala accidentally. The king asked the boy to explain his identity and details of his parents. But the boy insisted the King for telling his identity first. In the process of dialogue delivery between the king and Bhorot, Surjamukhi acting the role of Bhorot wrongly uttered this piece of dialogue Nang oire tai tai, Leigi Manamdabu Thongal Wagma Landabani, Mee Phattabagi Manamdi Segak kak ee instead of saying Nang oire tai tai, Leigi Manamdabu……….Segak kai. This dialogue of Surjamukhi compelled the audience burst out laughter. 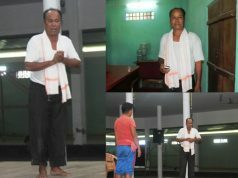 Surjamukhi learnt acting skill under strict guidance of renown theatre gurus like late Khomdram Dhanachandra. She acted in many dramas like Makhoisu Mini, Alexander, taposi etc. directed by Dhanachandra. She also acted Thambalnu character in Yairipok Thambalnu play, Sanulembi, Haorang Leisha Shaphabi, role of Chandramukhi in famous play Devadas of Mongshangei Drama party, Gomti character in Garibniwas drama etc. she acted in Alexandergi Meira of Manipur Dramatic Union which recorded more than 350 shows. Despite her elderly age and being unable to move from place to place for acting due physical weakness, her passion for acting in drama is still fresh, not exhausted. In recognition of her contribution in dramas, she was honoured with the title ‘ Phampakthakki Apaknga Thawan’ by Panthoibi Nata Mandir in 2013, Natya Bhushan Award 2009 by Manipur Sahitya Parishad, Khomdram Dhanachandra Memorial Award 2011 by MDU. 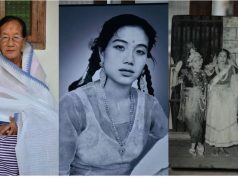 She won best actress award and best supporting actress awards in the All Manipur Drama festival consecutively held in 1970, 1971 and 1972. She has acted in more than 30 dramas. She was selected as casual artiste of Song and Drama Division, New Delhi but had to leave the job due to family problems. 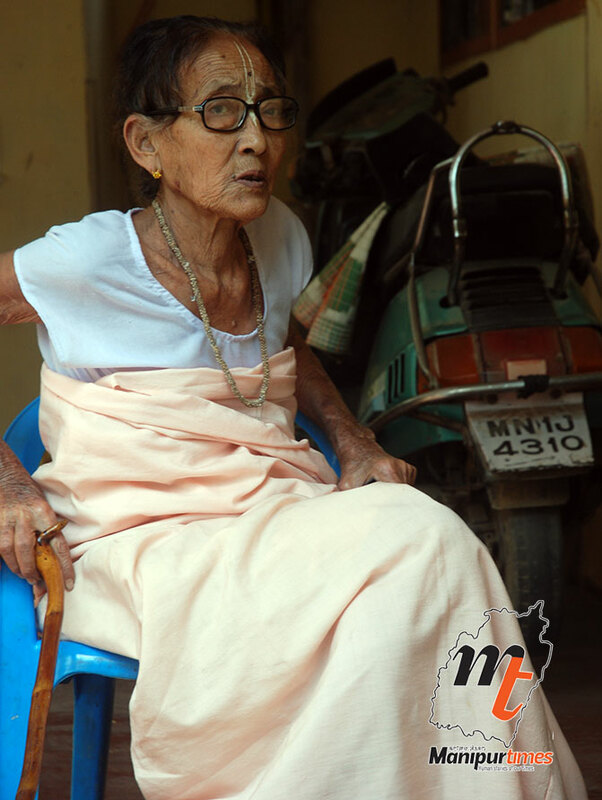 She is among the 10 pensioners in the state, receiving the pension amount provided by Ministry of Culture, Government of India till now. An artiste should always be well mannered, humble and respectful to the teachers. Those who respect teachers achieve success with flying colours in life. Regarding theatre, she said, “Theatre teaches us how to express ourselves more effectively. It develops our ability to communicate our thoughts and feelings to others, improving our relationships and improving the world around us. Moreover, It helps us understand how our minds and the minds of others work. It helps us to see how the environments in which we live affect who we are and who we will become. Theatre is a great way to lean about history. Rather than learning history from reading it in a dusty textbook, theatre makes history come alive right before our eyes. Theatre makes learning about history fun”.